LET US TELL YOU ABOUT OUR GOLF COURSE. Skene Valley’s beautiful, 18-hole regulation golf course is open to the public, and also has season passholders. (Check it out—membership is super-reasonable, just like our regular rates.) This course is a hidden gem. It’s close to Queensbury, Glens Falls, and Lake George, and it’s just minutes away from the Vermont border. 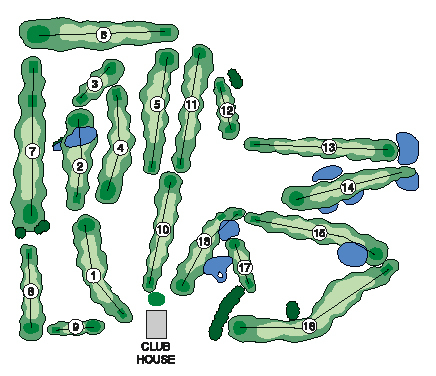 You’ll find we’re a very player-friendly course. No tee times are necessary! Our staff will make sure you enjoy your time here with us. When you come over to golf, just check in with us at the bar inside the clubhouse first.